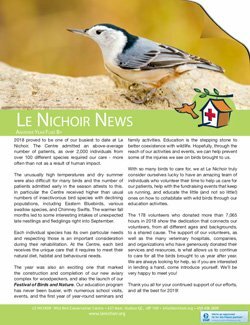 The Hudson Veterinary Hospital is happy to sponsor the “Flowers for Feathers” campaign for Le Nichoir’s New Avian Conservation Centre Project. Your loved one will get the gift that keeps coming, throughout the dreary winter months a potted flower once per month for 5 months! Poinsettia, cyclamen, a lovely red tulip for Valentines Day, a hyacinth and an Easter lilly will keep you thinking spring is around the corner. 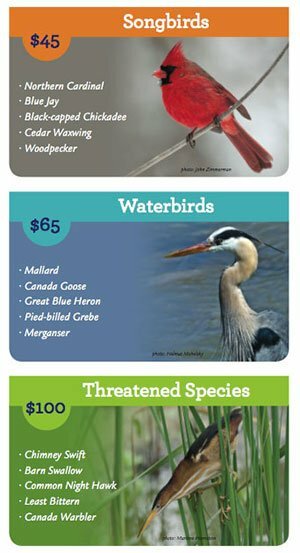 For only $150, with a $100 charitable receipt, give the gift to keep our song birds singing. $180 if delivered in the Hudson/Saint-Lazare area. Call 450 458 0333 for more information or email glew.a@hotmail.com.